When AP political reporter Lorena Hickok—Hick—is assigned to cover Eleanor Roosevelt in the 1932 campaign, the two women become deeply involved. Their relationship begins with mutual romantic passion, matures through stormy periods of enforced separation and competing interests, and warms into an enduring, encompassing friendship documented by 3300 letters. 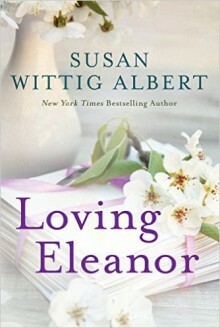 Set during the chaotic years of the Great Depression, the New Deal, and the Second World War, Loving Eleanor reveals Eleanor Roosevelt as a complex, contradictory, and entirely human woman who is pulled in many directions by her obligations to her husband and family and her role as the nation's First Lady. Hick is revealed as an accomplished journalist, who, at the pinnacle of her career, gives it all up for the woman she loves. Then, as Eleanor is transformed into Eleanor Everywhere, First Lady of the World, Hick must create her own independent, productive life. Loving Eleanor is a profoundly moving novel that illuminates a relationship we are seldom privileged to see, celebrating the depth and durability of women's love.